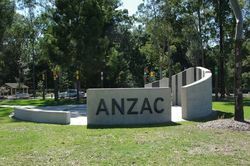 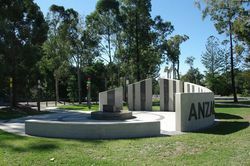 The ANZAC War Memorial and Remembrance Gardens commemorate 100 years since the landing at ANZAC Cove and those who served in World War One. 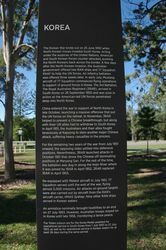 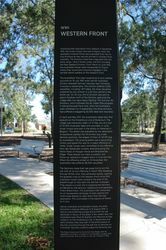 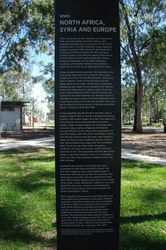 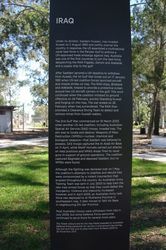 The memorial was funded by the ANZAC Centenary Grants program and Moreton Bay Regional Council. 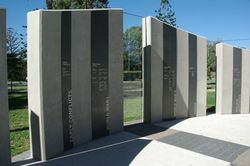 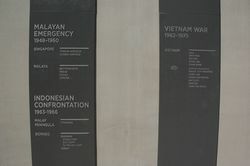 A series of semi-circular pre-cast concrete panels, graduating in height, are arranged around an electronic eternal flame in a plinth. 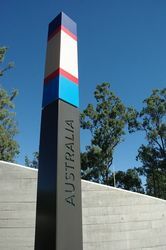 On ANZAC day the rising sun shines through a tall glass panel, on which is written the Ode, onto the eternal flame. 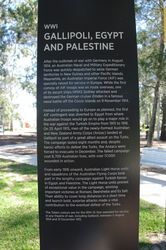 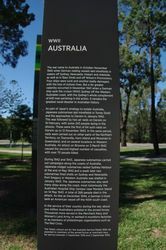 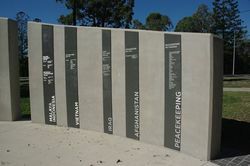 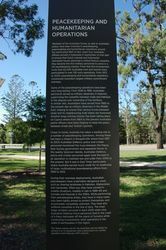 The memorial is calibrated so that the rising sun each ANZAC Day casts a progressive shadow over each of the ‘battle lines’ which form a chronology of key Australian military campaigns. 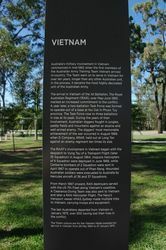 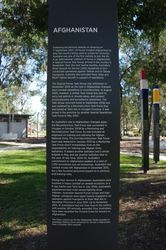 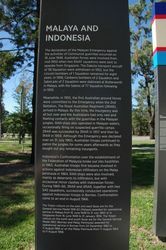 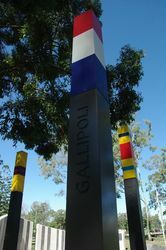 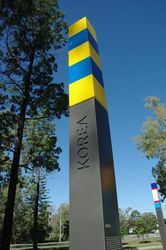 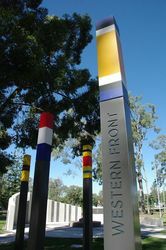 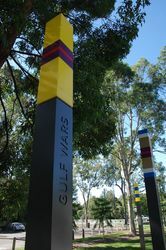 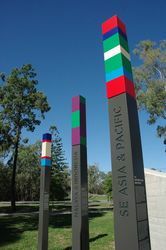 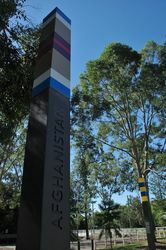 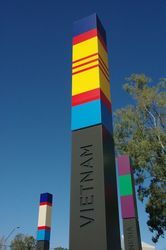 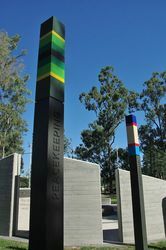 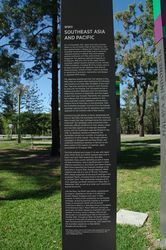 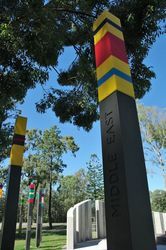 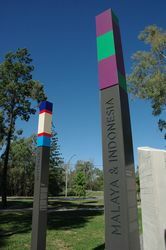 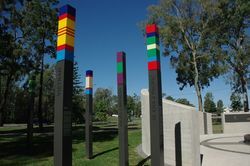 Nearby are flagpoles, and eleven illuminated totem poles, with campaign ribbon colours at the top, for Australia's key military campaigns and missions overseas. 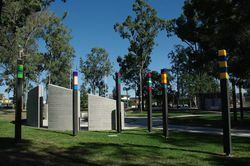 The concept is located amid peaceful garden surrounds. 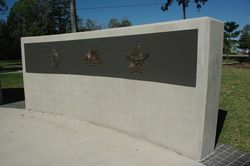 Fathers, uncles and aunts of you all. 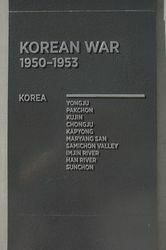 We did what we were asked and continue to do so. 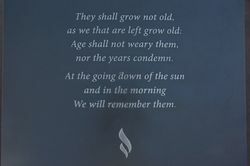 Some with their health, all with their innocence. 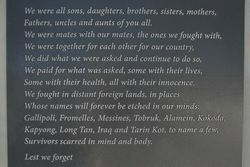 Survivors scarred in mind and body.